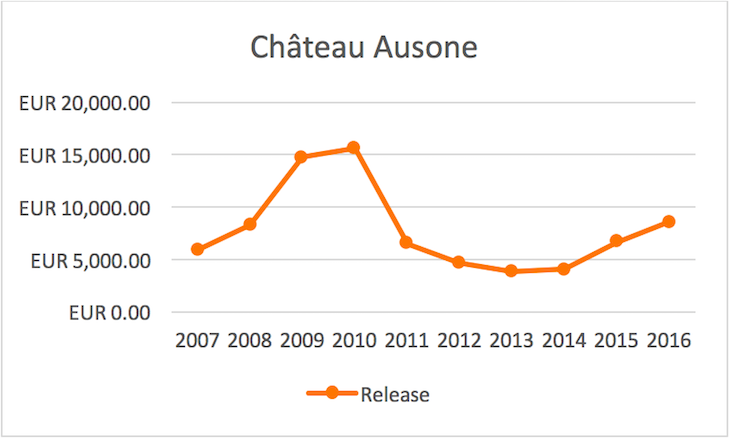 – There is no doubt the 2016 is one of Ausone’s best vintages, but at this high price one needs to be cautious and I suggest waiting to buy when the wines are in bottle (prices will likely not move very much). – Area under Vine: 7 ha producing 1500 cases for Grand Vin and 600 cases for second wine, La Chapelle d’Ausone. – History: This is one of the rare properties that have not changed many hands since the 13th century. It was with the Lescours family starting from the 13th century, then the De Lescure family and finally the Chatonnet-Cantenat family from the 17th century until now. – Current Owners: Today it belongs to Alain Vauthier and his sister Catherine, who bought their aunt’s shares in 1997. The Vauthier family are direct descendants of the Chatonnet-Cantenat family. Alain Vauthier runs the estate, and since 2005 has been joined by his daughter Pauline, a qualified oenologist. – The vineyard lies on a steep, southeast-facing slope which protects them from the cold northern winds and westerly rain. The château, perched on top of the Saint-Emilion slope, offers one of the most magnificent views of the region. – The modern era for Ausone began when Alain Vauthier took over in 1997. Prior to this date, the wines were not often meeting their full potential and the wine produced between the 1950s until the early 1990s were erratic and often disappointing. 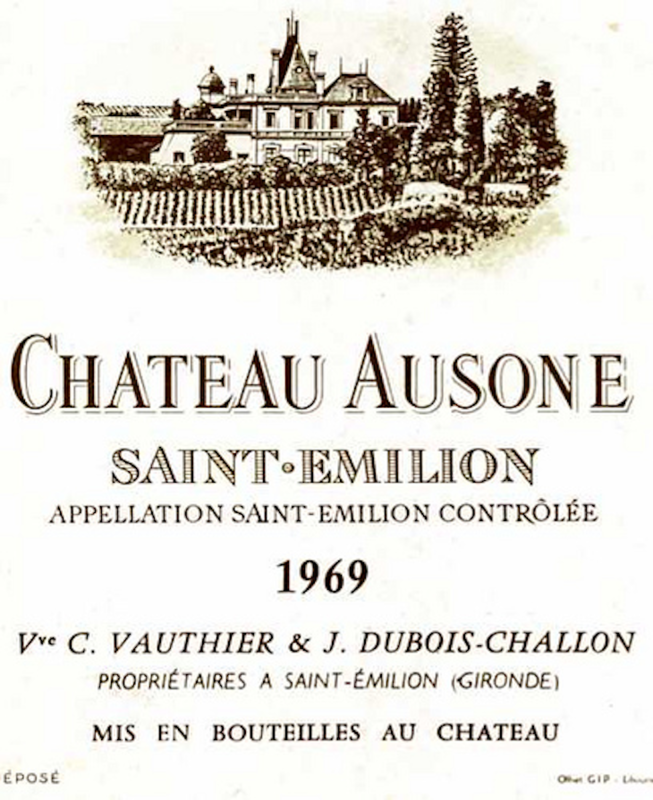 – Ausone was one of the two châteaux listed as Premier Grand Cru Classe A when the classification was first introduced in 1955, the other one is Château Cheval Blanc. It remains one of the smallest of Saint-Emilion’s top wines. 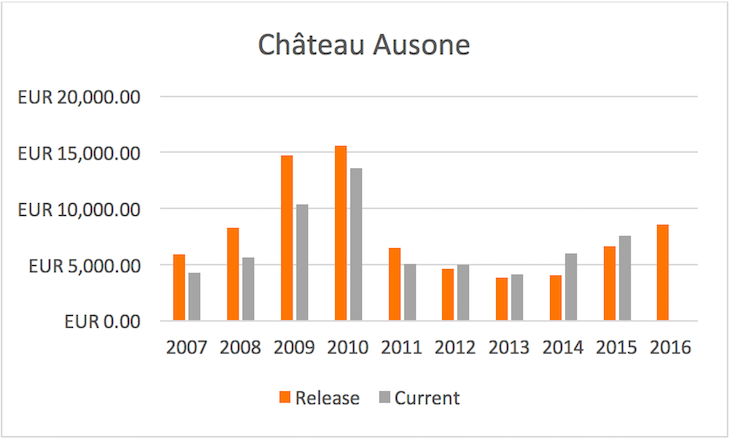 Tasting older vintages of Ausone can sometimes be disappointing, especially given its high price. I have been disappointed in vintages, which should be wonderful, like the 1986, 1989 and 1990. But since 2000, I have not tasted a dsiappointing vintage of Ausone, even in weaker years like 2011, the wines are terrific with great concentration, finesse and cashmere-like tannins. The constant work in the vineyard since Vauthier took charge is finally making its mark on the wines – from the new drainage system, the terrace walls and constant replanting at higher densities than before. The wines have an amazing combination of minerality from limestone soils, purity, depth and power without heaviness. The 55% Cabernet Franc planted at Ausone adds to the wine’s firm backbone and its haunting earthy, savory character. The Merlot brings the flesh, the roundness and approachability to Ausone. In the vineyard, organic and biodynamic vineyard practices are followed and there is concerted effort to preserve the vines which are on average around 50 years old; the oldest vines are more than 100 years old! 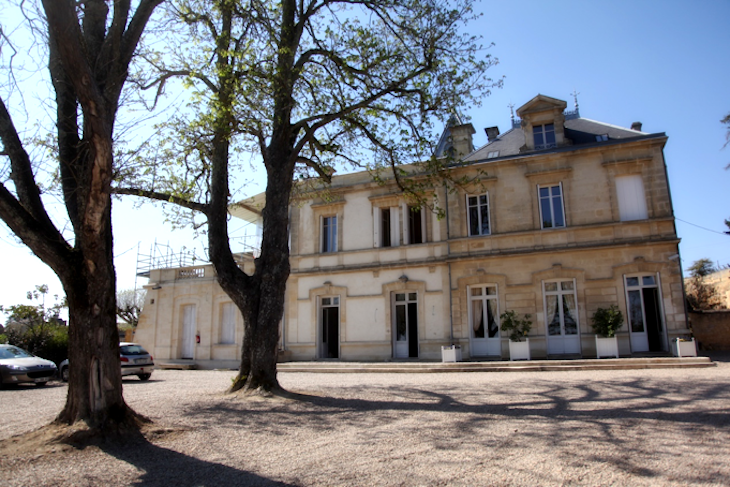 Given the small quantity, Ausone will likely always remain expensive, however, the other wineries owned and mananged by the Vauthier family offer great value: Château Moulin Saint Georges, Château Fonbel and Simard. These wines are made by the same team with the same detailed care as at Ausone. There is incredible detail and refinement in this full bodied, intense Ausone. This vintage was generous in many ways and there is plenty of tannins, flavor concentration and freshness in this wine. It will take at least a decade or two for the wine to open up and show its full potential. At the moment, there is depth, quality and tension to ensure the wine should have a long, long life ahead. An exuberant, sweet, forward Ausone with layers of dark berry fruit, sweet spices and floral notes. The wine is charming, delicious now and not heavy although there is quite a firm backbone of ripe tannins in the background. A gorgeous Ausone that is surprising how open and accessible it is now. 50-50 Cab Franc and Merlot in this vintage with 85% new barrels used. An amazing wine with finesse and power in an elegant package – velvety firm tannins, an inherent sweetness in the fruit and fresh acidity. Layers of violets, cassis and ripe cherry are just some of the exuberant flavors found in this wine. Impressive, long and very seductive, this is one of my top wines of the vintage. There was more Cabernet Franc in this vintage than normal with 60% and the rest being Merlot. Nose is quite closed but the palate offers vibrant, fresh dark berry fruits with cedar and violet notes. Amazing complexity in this vintage with great depth and long length. Not as dense or concentrated as in previous years but the wine is fresh, lively and should evolve well over the next decade or two. The vineyards are about 50 years old and the blend in 2013 is 55% Cabernet Franc and 45% Merlot. A gorgeous, plush, opulent Ausone with delicacy and finesse. 50 year old vines at Ausone produced a glorious wine in this vintage with intensity, concentration and delicacy at the same time. The flavours are characterized by freshness and lift with cashmere-like texture in its tannins. Long finish with great depth. A blend of 55% Cabernet Franc and 45% Merlot with 18,000 bottles made. This is a wonderful Ausone that is among the contenders as the wine for the vintage. The style is seductive and voluptuous, showing generosity and opulence that is not often found in this vintage. It is a style that can be enjoyed fairly young but will age for decades given its amazing intensity and long length. The palate profile is amazing with great depth and subtle flavours that are round and seductive with great length. There is always the same blend of 55% Cabernet Franc and 45% Merlot. Yields were 29 hl/ha with average vine age of 50 years. A phenomenal wine that was tasted blind and most leaned toward Cheval Blanc or Petrus. Incredibly youthful, still with its original cork and in great condition after 63 years. Layers of sweet cedar, aged tobacco and dried herbs mingle with dried figs and mixed savory spices. A wine with great stature, poise and intensity. Beautiful to enjoy now. An aromatic, spicy and herbaceous Ausone, with freshness and beautiful linearity. It hardly tasted more than 20 years old. It is a statuesque wine with plenty to offer and express now but should remain in this heightened state with the correct storage for another decade. A beautiful wine that is a wonderful surprise from this under-rated vintage. Filled with earth, garrigue and scent of the forest, this well composed Ausone unfoled gentlely on the palate. Love the earthy, refined tannins and long finish. Elegant Ausone that is starting to evolve just past its ideal maturity with gorgeous subtle spices and layers of dried flowers and berries. Some will appreciate its evolution while others will bemoan the lack of fruit. I appreciate this stage of the wine when it no longer has anything to prove. Enjoy it now. Lovely cedar and ripe plum flavours with tannins that are velvety on the palate. This is a good, balanced Ausone that disappoints in such a great vintage. I expected more from Ausone in this vintage. Ready to enjoy now. For more tasting notes and reviews by Jeannie, please click here.